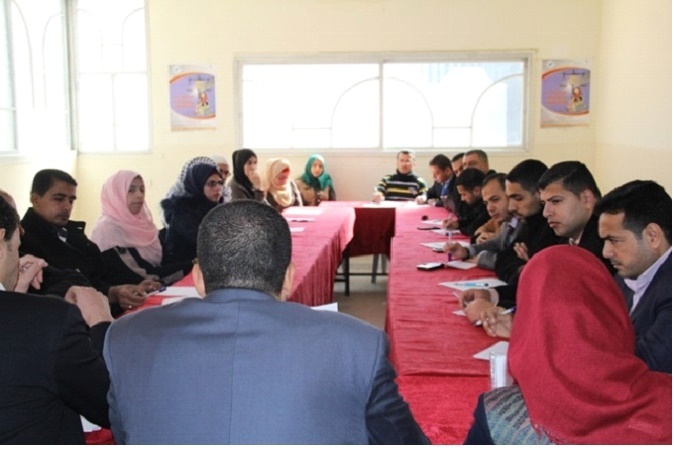 NSDL conducted a thematic workshop on the role of justice systems in defending GBV women cases within the framework of the activities of the project “Protecting women’s life, rights and dignity in the Southern Gaza Strip”; funded by “Sawasya” the Joint Programme UNDP/UN Women/UNICEF, Promoting the Rule of Law in the State of Palestine. Ms. Olfat El Bream, the executive director of NSDL, managed to run the meeting. She opened the meeting by welcoming the speakers and the attendees, and she apologized on behalf of the women police for not showing up. 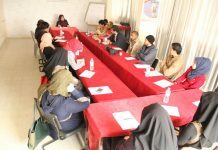 She then talked briefly about the nature of NSDL work, the legal clinic and the cases represented before the Sharia courts and official institutions. 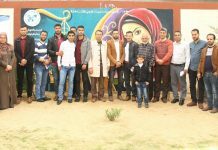 Moreover, she gave some information about the running project and its main objectives and activities as well as its value to support vulnerable groups and facilitate their access to justice. 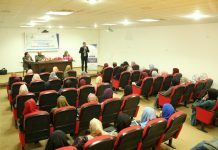 Mr. Mohammed Al Shaer, Rafah prosecutor, talked about the role of General Attorney Office in seeking GBV women cases’ justice. He talked about the procedures of the general attorney office regarding women’s complaints mentioning that such procedures require a recent medical report of the injuries issued by one of the medical centers or hospitals of the Ministry of Health. Consequently, if there are enough evidences of any assaults against the case and, in case of petty assaults, the reformers are given an opportunity to end the disputes. Yet, if the reformers’ effort fail, the legal procedures are completed. If the injuries are serious, the legal procedures are completed immediately without consulting the reformers. Prison will serve as a deterrent for the offenders and others, who may think to attack women. Hence, General Attorney office, which is viewed as a defender of the rights of the community, files the complaint before a competent court. 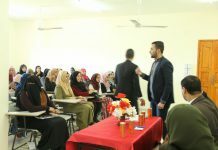 Mr. Belal Al Najar, a lawyer at NSDL, talked about the procedures followed when women file complaints of assault by their husbands or families. Moreover, he underlined that stakeholders do not apply the law sincerely. He gave some real examples of GBV women cases, who did not receive legal redress. For instance, the police of the hospital do not register the real reasons of injuries of the GBV women cases, who are assaulted by their husbands, families or husbands’ families. They report way different reasons claiming that would maintain the social relationships inside the family. He appealed the police to follow the right procedures that correspond to the principle of the rule of the law and the right to resort to the court when there are any disputes. He also talked about the mistakes that informal justice systems commit, which do not always achieve women’s justice and equity. Every time, they blame women for not doing their responsibilities and for not respecting their spouses, who sometimes did them wrong. In addition, he gives some information about article (18) of the Panel Code, which has been amended according to the 2011 presidential resolution. He mentioned that a female may only be searched by another female, and he assured that the international law must be applied to fix the gap found in the domestic laws. 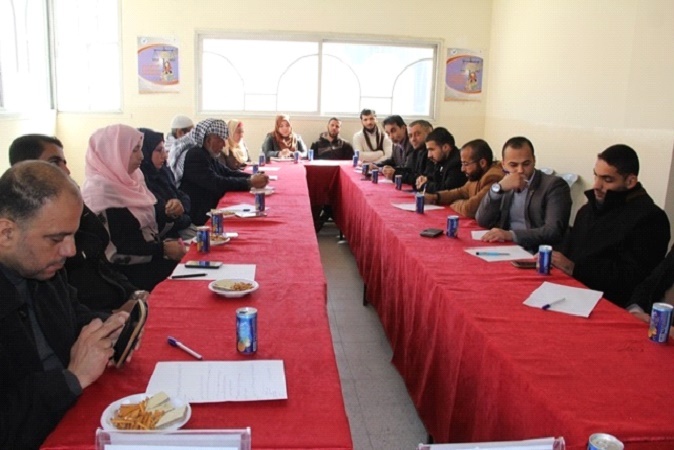 A number of civil society institutions and media and legal personnel attended the workshop. At the end of the meeting, everybody was granted an opportunity to discuss and express their opinions and raise their questions. All of the inquiries were answered and a number of recommendations were, therefore, made to ensure a better life for GBV women cases.